Step back in time, slow down and enjoy a big day out on this island National Park. 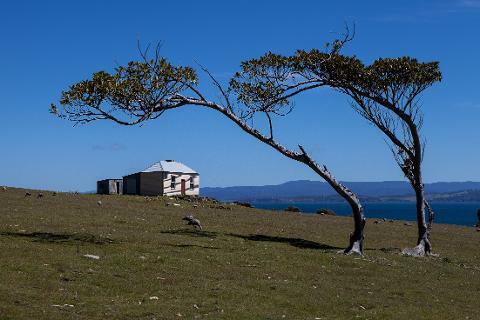 Maria Island has a diverse range of highlights including convict history, spectacular coastal cliffs and deserted beaches. Access to the island is by Ferry for foot passengers only (no cars on this island). Bring your comfortable walking shoes ready to stretch your legs and explore this island paradise. Just one hour’s drive from Hobart to the ferry and 30 minutes across the water, brings us to Maria Island - a stunning island National Park. 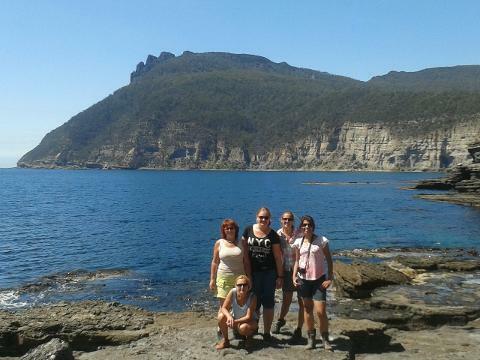 It is rich in local wildlife, amazing scenery and world heritage convict history. We enjoy a series of moderate walks exploring the beautiful Painted Cliffs, the dramatic Fossil Cliffs and the remarkable Darlington World Heritage convict site. With no cars on the island the area is peaceful, beautiful, the pace is slow and relaxed, and the beaches are perfect for summer swimming. Even the ferry ride is part of the highlights of the day, the waters we cross are also abundant in sea life, we keep our eyes peeled for dolphins, seals and penguins along the way. Join us on this day of discovery rich in environmental and cultural history.